I don’t know about you but, I love desert! 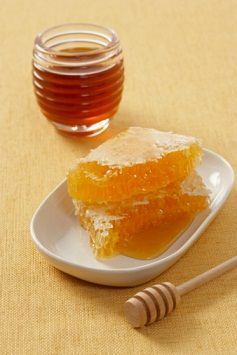 Maybe it’s all the sweetness in me, I don’t know….. One thing for sure, if my sweetness was measured out according to the words that I say, would they be as sweet as a honeycomb? Sweet to the soul, and health to the bones? Do my words promote health? Can I say that my words heal others by kind encouragement, wise counsel, and gentle comfort? Or are my words more like a piercing sword? Am I leaving people around me bleeding with critical, callous and condemning words? Am I pouring out salt when my Bible teaches me I need to season my speech with it. The right words at the right time are beautiful indeed! Proverbs 18:21 says, “Death and life are in the power of the tongue,and those who love it will eat its fruit.” As we can see, there is great power in that tongue. Proverbs 24:13 says that honey is a most fantastic food God created for our benefit. He described Canaan, the wonderful land of promise, as a land flowing with milk and honey The manna He gave Israel for forty years tasted like wafers made with honey. Honey is sweet to our taste, enlivens our eyes, energizes our bodies, and has many nutritional properties for overall health. Bottom line, we need to choose good words to say to someone today! There is great power in the tongue, How will you use it today? You will eat the fruit of how you use it. Will they build up or tear down? Will they comfort or leave one comfortless? Will they heal or add to someone else’s burdens? I know for myself, I need to watch my words on every aspect. Especially as I’m going through this chemotherapy treatment. Will I snap out at others because I am having heavy bouts of nausea? Will I use words of this treatment medication as for doing good towards me or will I use the words to describe the dark, and damaging aspects of the med’s? I am guilty of this. I am thankful for this passage today. My words count in God’s Kingdom, and I want those words to have an eternal impact leaving the sweetness to the soul’s and health to the bones of people I meet. I love honey. I used to use honey in my coffee in the mooning when I didn’t have stomach problem. Now I don’t drink coffee like before. But I still love honey. Looking good@pics. Thanx Marty 4 prayer on my ankle. I started back 2 my morning walk about 4 times. But today all of a sudden pain came back on my Achilles. I need prayer again. We miss u. Jim & Silkie. Hi Jim,I will be praying for your ankle. actually I thought it was Jim. Thank you Silkie, I will be praying for you earnestly….. thank you for the prayers for me….God is good!